John Pruden is a professional voice actor who has recorded audiobooks, PSAs, Indie films, documentaries, video games, radio dramas, corporate and online training narrations, and radio and TV commercials. An Earphones Award winner, his audiobook narrations include Patrick deWitt's The Sisters Brothers, which was chosen by The Washington Post as the best audiobook of 2011. A rich and riveting history of the United States special operations force, the Navy SEALs. Shortlisted for the 2011 Man Booker Prize for Fiction. The last time the U.S. looked on its own citizens with suspicion, it resulted in shattered dreams. Starred Review. A "highly entertaining...solidly plotted" mystery debut - Publishers Weekly. Soon to be a major motion picture starring Dexter's Michael C. Hall. A thrilling new Ethan Gage mystery from New York Time bestselling author William Dietrich. A reimagining of Teddy and Kermit Roosevelt’s ill-fated 1914 Amazon expedition. A short story about the life a man who ages in reverse, getting younger as the years pass. Discover the man behind the uniform in this poignant collection of personal letters. A biographical account of Alexander Hamilton, and recent Broadway musical. An inspiring collection of twenty-eight speeches from the late great President Ronald Reagan. A powerful novel of race, violence, and identity set on the eve of the Civil War. 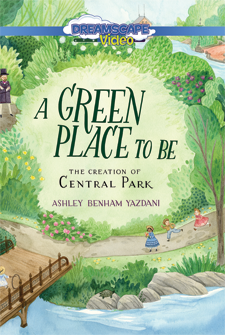 How did Central Park become a vibrant gem in the heart of New York City?